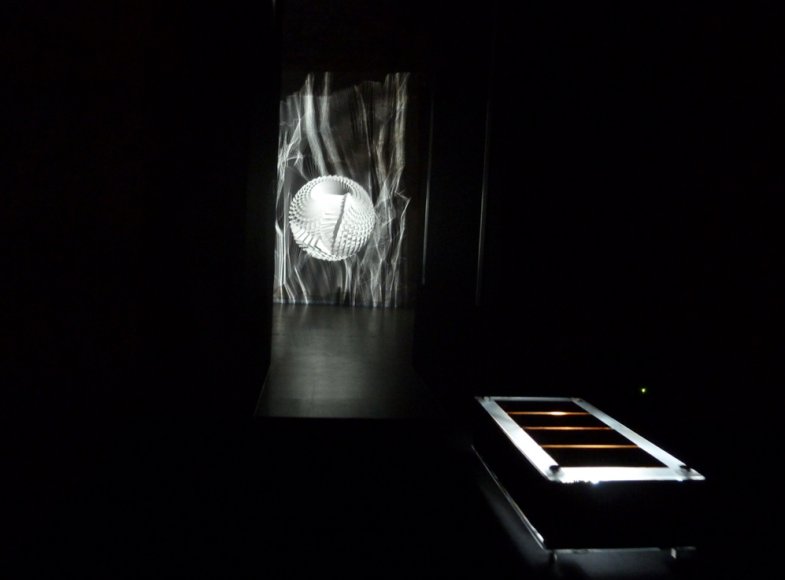 “NON HUMAN DEVICE #01” is an audiovisual installation based on Boris Chimp 504’s audiovisual live performances. During a recent exploration to Kepler22b, an exoplanet from the Kepler-16 binary star system, Boris Chimp 504 found some metallic objects on its surface. Though the origin of this object is totally unknown, it’s probably a piece of technology from an extraterrestrial civilization. Boris has sent this object in an hyperspace capsule to the Vladivostok Space Center, on Earth. It is believed that it’s a part of a machine, a mechanism or a device of some kind. Recent investigations on the object lead to believe that it is an interface to control the position and orientation in space and time of something bigger, a spaceship maybe. The device responds to touch, and generates an electric magnetic field that interferes with audiovisual signals and causes space-time distortions. 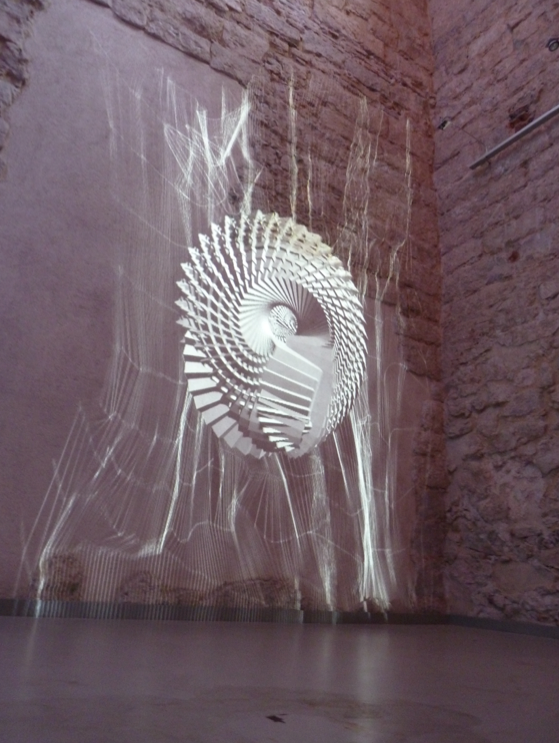 In this public installation, the audience will have the opportunity to interact with this “Non Human-Machine Device”, and experience the effects that it causes to audiovisual signals and space-time orientation. 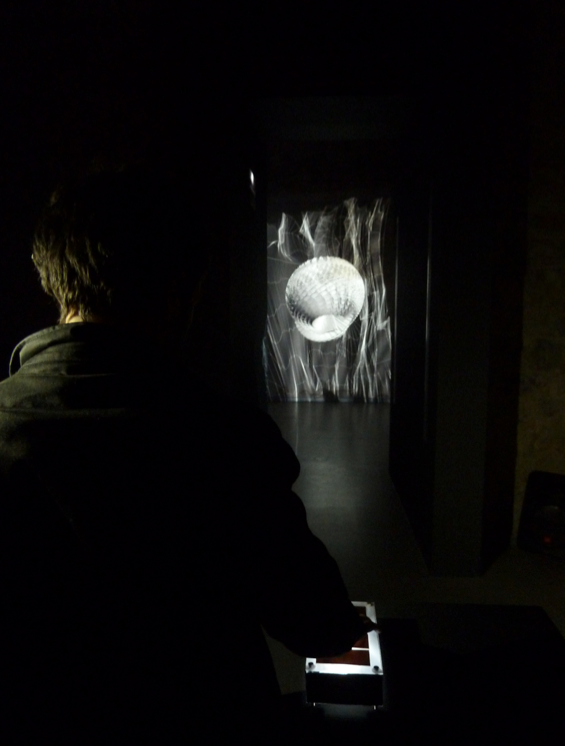 It was be exhibited at Convent San Agusti, Barcelona-Spain(6th-8th Feb.), as part of Micro-Mutek 2013 festival.